Register Log In Home Forums Mechanical/Maintenance Forum Anyone use a VCM Muzzler on their Honda V6? If so, what are your findings using it? I installed one not quite a year ago because VCM mode was starting to cause odd vibrations in the car. I think it works pretty well at keeping the eco mode(VCM) from coming on 90% of the time. Some times in stop and go city traffic when the engine temp gets higher the VCM Muzzler fails to keep the VCM from turning on until I start cruising again and the engine cools off a little. I installed a stronger resistor(forget the OMH rating) and it was to much and kept the temp down to low and made the check engine light come on. Even the stronger resistor failed to keep the VCM off in city driving so I installed the original resistor and that keeps the CEL off while still preventing VCM from activating. My car is much smoother overall and does not have the odd vibrations when the VCM operates normally without the VCM Muzzler. Also at nearly 75,000 total miles it burns zero oil between 5,000 miles oil change intervals. I'm also getting the exact same gas mileage with the VCM vs. when it was not installed which is 24-26 city and 27-30 highway. What are your finding on this product and what do you think of it? Are you getting 100% VCM deactivation with the Muzzler or does the VCM still kick on and off when it gets hot? What color resistor are you using? Thanks everyone! I am using the standard resistor in the Odyssey. The only time that I have seen VCM come back on is after a long period of summer idling when the engine got heat soaked. Other than that one time, it has not come on. This includes a road trip to New Jersey 2 weeks ago when it was loaded to the gills. I got 25 mpg, which I thought was great given the fact that it was loaded to capacity and we had a cargo box on top. I have been happy with it so far. It drives smoother and my mpg appears to be almost the same. My guess in your case is that the issues are due to heat combined with altitude. Being in Colorado and at a high elevation is bound to make the air/fuel mixture quite different in the summer. I would email the guy who makes it and see what he would recommend. Perhaps a resistor between the two that were provided? Originally Posted By: Chris B. Just for information, its 99.9% sure have a failed active rear engine mount. You must use OE which is online price of about $400 no other will last more than a few weeks/months. I would seriously consider changing it as with it gone the rest are under a lot more strain and will also fail, its about $600 more if they let go. I shall be looking in on this thread. As a VCmuzzler is something we are considering for our Pilot that we use in Ghana, a FWD 2007 with VCM. When I worked it out, using Imperial gallons not the slightly smaller US gallon it was under 10mpg when used solely round the Capital in heavy traffic and 100% Aircon usage. Around 20mpg when away from heavy traffic, I am glad petrol is cheap in Ghana compared to the UK. Last edited by bigjl; 08/24/17 08:48 AM. I put the muzzler on our 2015 Odyssey within a week or two of buying it new. Standard resistor. It stops the VCM almost completely. Similar to SF0059 I've only ever seen the ECO light come on a handful of times, when it's been very hot and we were in stop and go traffic. The VCM on our wasn't too bothersome, aside from a negative effect on the car's ability to maintain speed with cruise control. It would always dip several MPH before bringing the remaining cylinders back online. I mainly did it for long term reliability. We drove from our home in MD to the outer banks in NC last week, 2 adults, 3 kids, van stuffed with stuff and a cargo box on the roof. 28 mpg on the way down, 27 on the way back. I am not sure VCM provides any significant real-life mileage benefit. Thanks Trav. 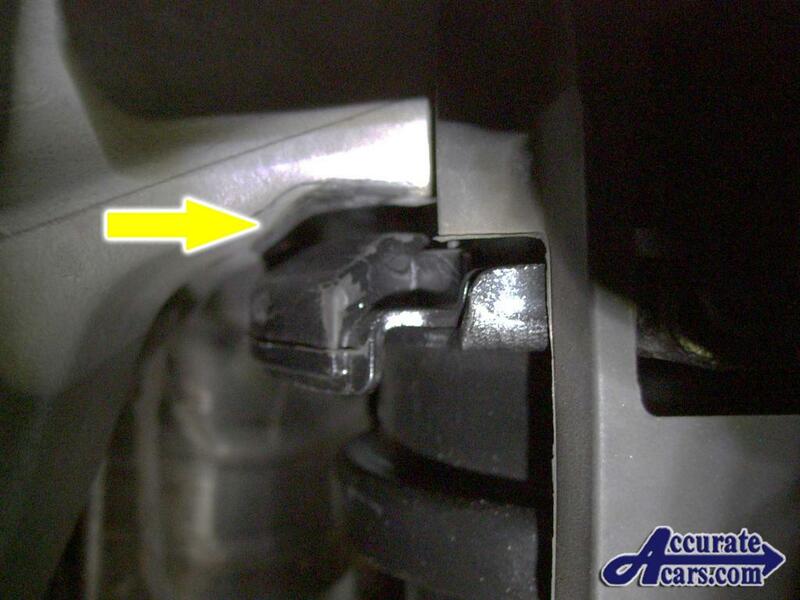 How many engine mounts are on an 8th gen Accord? I finally took the car to the dealer as my warranty is about up(73,000 total miles now). They said the engine mounts are still in good shape including the rear active one. They said they could feel a very slight vibration but it was normal to them and not what they see when the engine mount fails. The vibration is definitely coming from the VCM kicking on and off and is most noticeable when it kicks on in ECO mode. It is a very slight vibration and I thought the dealer tech might not notice it but it is definitely there just not super noticable at this point. I'm just going to keep my VCM Muzzler installed as it make the vibration totally disappear. Yes we do. I take it on or off depending upon what were doing. I dont like VCM on the highway, as MPGs are good without, and I dont like the feel of VCM engaging under fairly decent loading, so its generally based upon the number of long road trips were planning. Around town its a difference of a few MPG actually, so its worth running because the drivetrain is under constant loading/unloading anyway, and it makes a big difference under low speed, low power operations. Im not crazy about changing it, I do it maybe a few times a year based upon what I anticipate our driving profile will be. Id also not want to let the VCM go unused for too long, who knows what the ramifications are. Id definitely recommend getting one! It has 4 mounts, the front and rear are active (actually left and right on the engine but they are referred to as f/r because its in horizontal. What you describe is the the beginning of failure, they wont replace it at this point but at least you made them aware of your mount concern. When it fails totally there will be a vibration through the whole vehicle eco mode or not but worse in eco. There is a way to see it when it does fail with a flashlight from the wheel well. Notice the gap as they get tired this gap reduces until the engine mount upper bracket makes contact. In eco mode there is a lot more vibration so a reduced clearance will contact slightly as its bouncing more. I cant drive the car so go with what Honda says, there is some normal slight vibration when the eco goes on/off as they age. You mount will look similar to this, this is an 07. Thanks to Accurate cars for the pics online, very helpful images. Thanks Trav! So which side of the engine is considered the front side? The side facing the drivers side(right side if standing in front of car looking down on the engine)? What wheel well is the picture? Can I see this on my car with the wheel still on or do I need to take the wheel off? Many thanks! 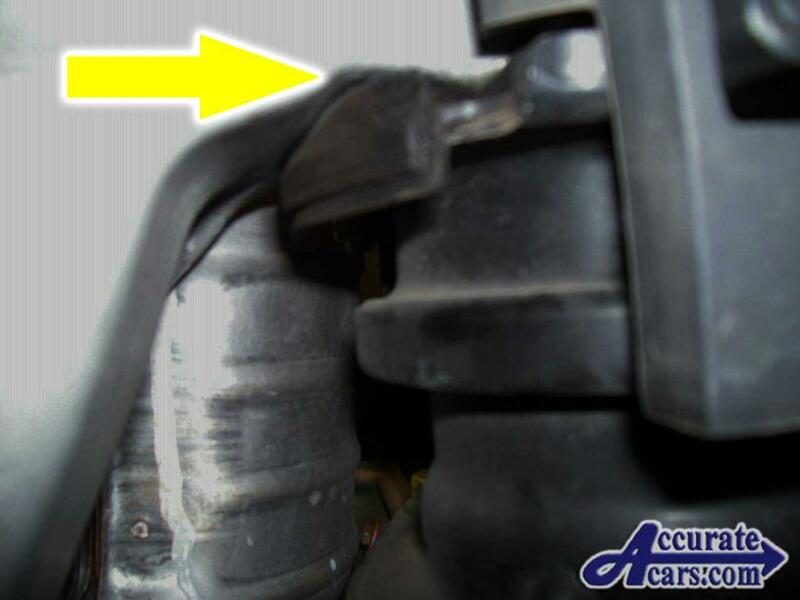 Engine mounts are listed by their location in the frame/body on this car eg front/rear, L/R. They are not referred to by their actual location on the engine. For info only do not refer to the mounts on your Honda by this info. Left and right of the vehicle is always from the drivers seat, the front of your engine is on the right, the rear left, the left side of the engine is front and the right rear. Not sure on your but on previews generations you could see the rear mount from the drivers front wheel with a strong focused beam flashlight and turning the wheel all the to the right IIRC. Last edited by Trav; 08/25/17 10:47 PM. Thanks Trav! I'll check it out on my next day off and report back. Other than eBay, what other way can I buy the genuine VCM Muzzler offered by screen name Verbatim from Alberta, Canada? I don't want to buy a clone. I want the genuine article. Never mind. I found him on the Odyssey Owners web site.